Lesli DeVito had always painted on a large scale and in an unmistakably "Lesli DeVito" style. Sugar-dusted pastels, enlightened animals, and mannerly titles would expand to the edges of her canvas, eliciting joy. Her portfolio is a menagerie of horses, lambs, bears, and other animals. Lesli plays on the assumptions of the tradition of portraiture, giving each animal subject decorum that is both stately and tongue-in-cheek. The paintings are a colorful update of the portrait genre; they bend the rules of convention to delight its audience. "My paintings are colorful, uncomplicated. I love to make people smile and connect to something in my work that brings them joy," says Lesli. When the UGallery curators asked Lesli to create a series of ten 4"x4" mini paintings for The Ornamental Artwork Collection, it was not only her smallest challenge, but also her biggest. "At first, I was completely flummoxed by the scale of the canvas because I normally paint big. It was like looking at a very complicated math problem," says Lesli. "My brain went flat." The project challenged her style with new set of edges. To paint her miniature paintings, she had to let go of everything she knew and approach the smaller pieces as an entirely new medium. The conventions from which she would have to break were her own. 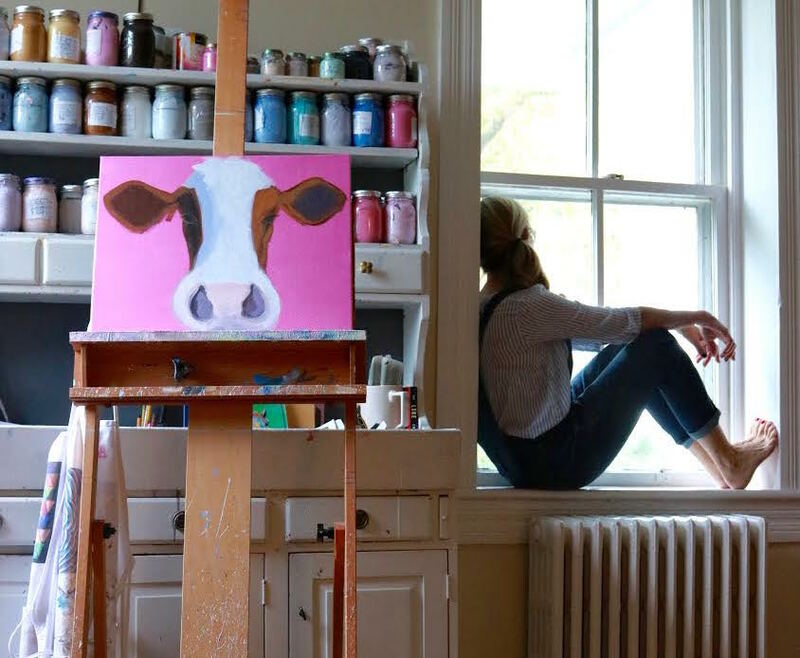 "Once I got past the notion that I had to do what I do - just smaller - I started thinking of what the tiny canvases said to me," said Lesli. "I got a kick out of painting animals that are very big, like elephants, rhinos, pigs, and horses on such a tiny canvas. It made me smile. I went a bit more abstract and then I got on a roll and just started to play. I actually bought more canvases and have added 'minis' to my repertoire now. They are so much fun." Ironically, this break in convention did not dilute or throw her painterly voice; it intensified it. By compressing her canvas, she stretched her style. Her series of mini-paintings suggests that identity is not formed within convention. It is like painting tiny animals -- it is exploratory and colorful, and found within new edges. See Lesli DeVito's full profile on UGallery.